Conor O'Malley; Lee Desmond, Shane McEleney, Killian Brennan (Jack Bayly 83), Ian Bermingham; James Chambers; Ian Morris (Sam Verdon 83), Aaron Greene; Conan Byrne (Sean Hoare 62), Christy Fagan, Jamie McGrath. Mark McNulty; Michael McSweeney, Alan Bennett, Darren Dennehy, Ross Gaynor; Garry Buckley (Liam Kearney 52), John Dunleavy; Karl Sheppard, Steven Beattie (Mark O'Sullivan 90), Kevin O'Connor; Danny Morrissey (John O'Flynn 25). 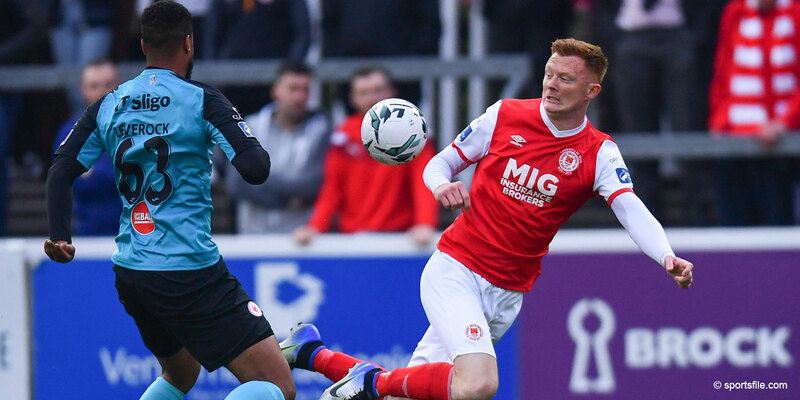 Cork City manager John Caulfield got the reaction he demanded following Friday's home defeat to Longford Town as the Leesiders returned to winning ways to regain a firmer grip on second place in the Premier Division table. First half goals from Steven Beattie and Danny Morrissey at Richmond Park ultimately earned a first victory in five league games which moves Cork four points ahead of third-placed Shamrock Rovers. 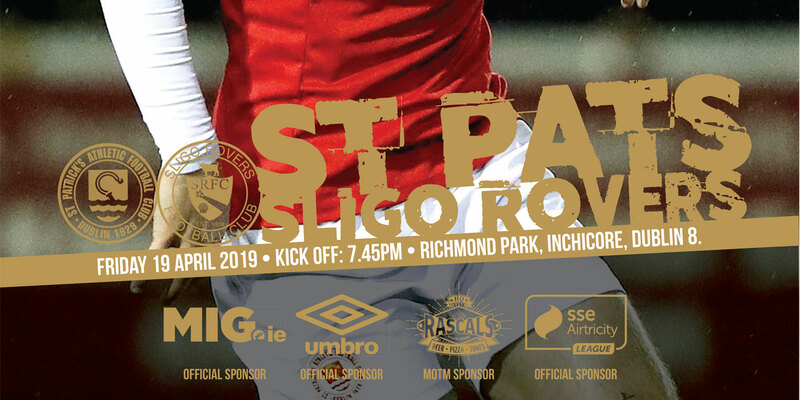 A sixth defeat in eight games for St Patrick's, however, means they've still not clinched fourth place and the coveted final Europa League spot as they remain five points in front of Bohemians with two games to play. 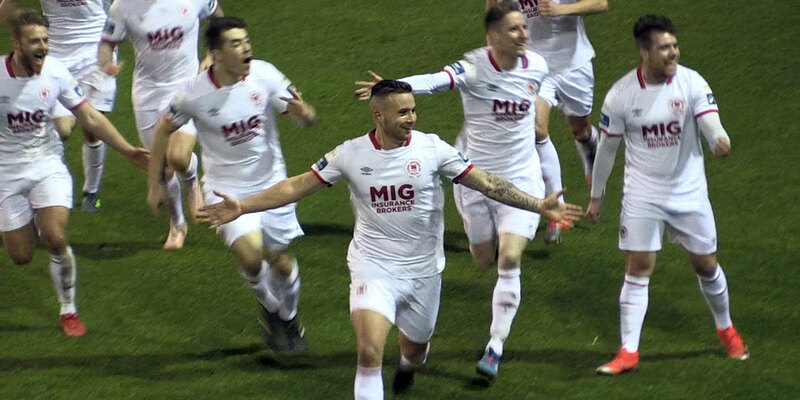 While St Pat's, playing their 1,000th game in the Premier Division of the League of Ireland, were unchanged from Friday‘s 2-1 win over Drogheda United, Cork made four switches to the side surprisingly beaten at Turner's Cross the same night. With Dan Murray and Liam Miller suspended, and Billy Dennehy and Mark O'Sullivan on the bench, Alan Bennett and Ross Gaynor came into their defence with Kevin O'Connor on the left of midfield and Morrissey the lone striker. Cork started positively with Garry Buckley having a sixth minute shot on target. If that scarcely troubled Conor O'Malley in the home goal, St. Pat's defence was at sixes-and-sevens from City's first corner of the game on nine minutes as the visitors took the lead. The unattended Dennehy nodded skipper John Dunleavy's delivery back across goal where Gaynor got a touch before Beattie was on hand to tap home from close range his third goal of the league season. That awoken a sluggish St Pat's with Cork keeper Mark McNulty soon in action to get down well to his right to save Killian Brennan's well-struck free kick on 15 minutes. Dunleavy then made a timely intervention minutes later to block Christy Fagan's shot on the edge of the area. But any Saints revival was knocked back on 23 minutes when Cork doubled their lead with a delightful second goal. Karl Sheppard's ball forward found the run of Morrissey whose first time lob had just the right trajectory to loop over O'Malley and bounce into the net for a sublime finish. In shades of scoring the winner in the FAI Cup semi-final at Bray Wanderers earlier in the month, however, Morrissey again appeared to strain a hamstring and had to go off immediately. Despite having the premium on possession, St Pat's might have been 3-0 down just past the half hour. Cork's O'Connor was fully alert to Brennan's short back pass with O'Malley having to make a smart save with his feet. McNulty then made his first real stop of the game two minutes before the break after an incisive St Pat's move. Brennan and Aaron Greene set up Jamie McGrath whose powerful shot was parried away by the City keeper. O'Connor brought a save from O'Malley with an angled drive minutes into the second half before St Pat's owned the ball as they chased the game. But, really struggling to create chances, it was the 59th minute before Liam Buckley's side threatened McNulty again when the keeper batted away McGrath's shot from a tight angle. With Cork generally defending solidly, St Pat's didn't get a goal back until the 89th minute when Greene raced through to drill low to the net.